Operators” are defined as the people or organisations that have actual power over the technical functioning of the equipment. The legal responsibility for compliance with the Regulation lies with the operator. Any equipment small enough to plug in rather than have to be permanently wired is likely to be excluded from the requirements, other than an overall requirement to prevent leakage and to repair any leaks as soon as possible. 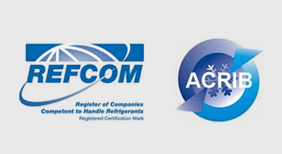 From January 1st 2015, any piece of air conditioning equipment or refrigeration equipment that contains R-22 and which loses its refrigerant charge will become redundant, as sales or use of recycled/recovered R-22 will be prohibited. FCAC can replace your old systems with up to date and more efficient R410a equipment.